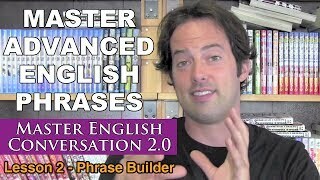 Learn useful English Fluency Bits with this Advanced English Phrases video lesson! click on the button at the top of this video. 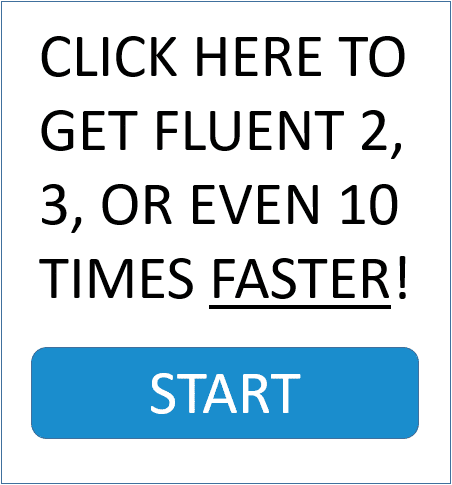 Well, hello and welcome to a brand new Phrase Builder and pronunciation practice lesson. I’m so excited this month, really! which I’ll explain in just a moment. where we have not two, not three, but four native English speakers. and you’ll get to hear lots of different phrases and the pronunciation, you’ll also get to practice that as well. phrases that come out which I’ll explain right now. as long as you understand pretty simple grammar but use more, kind of, complicated phrases. So, I’ll get into those right now. These are called English Fluency Bits. There are many different pieces of a language, and it could be for English or any other language. and then you’ve got pronunciation, or you’ve got specific phrases like proverbs or expressions. a very confident, educated and intelligent native speaker. It just means even if that’s how something is, then we still have to do something else. “Ahhh. The weather is kind of, kind of, uh, crappy today,” a friend of yours might say. And you can say, “Well, be that as it may, we’re still going running today. but if you use the English Fluency Bit “be that as it may,” you sound much more intelligent. Ahhh! Be that as it may! and you will see uh, a collection of bonus videos that’ll, that’ll kind of, go over lots of different English Fluency Bits that you can practice. Anyway, this idea of simple grammar with English Fluency Bits is very powerful, and it’s a very quick way of getting fluent. for when you get to see them and hear them in the Master Class video lesson. 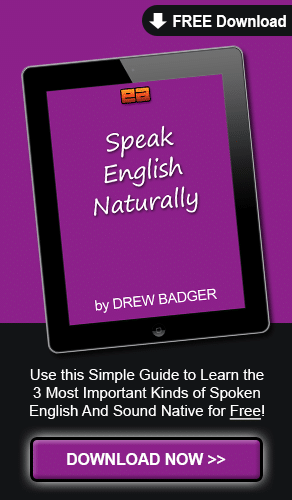 Many English Fluency Bits can be used in regular, everyday conversations. can be used at the office and any other professional capacity. So, if you’re a lawyer or a doctor, or anything else where you want to sound more intelligent, these are phrases, again, we’ll, we’ll go over lots of them today, but these are phrases that you can use that will really help you sound more native. This next one, listen carefully. This is something that I love to use, and I used a lot in college. I think you can make the case that. You can make the case that. You can make the argument that. You can say that I am happy. You can make the case that I am happy. You can make the argument that I am happy. and, kind of, making them into bigger, more complicated sounding things so that you sound more intelligent. where I can give a reason, or an argument. the way that you use the language depends on the people you are speaking with. and I can just ask “How?” because the child understands that. someone is asking me and instead of using “How?” I can say, “In what way? In what way should I make this report? Again, there are lots of different ways to say things. If you only understand basic grammar, that’s just fine. And you don’t know long, complex phrases that you can add, that’s also fine. But, if you can understand basic to intermediate grammar, and you can use these longer phrases, you will sound much more native. But it’s a little bit more polite. Aza pose to this week, how about next week? and we get to talk amongst ourselves, all of the students, and we all want to sound more intelligent. So, everyone uses these really big phrases and long expressions. And this one is: make a distinction between. I don’t really make a distinction between Chihuahuas and other small dogs. I don’t really see a difference. Or, I don’t make a difference. I don’t make a distinction. To make a distinction means you take something and you cut it into two different parts. So, you make a distinction. Ahhh. This is one thing and this is another. So, I’m not making a distinction between good and bad. I’m saying both of them are OK.
Or, there’s a gray area. In terms of the company, I think it could be doing better. About the company, I think it could be better. So, it makes you sound much more intelligent, and it’s a lot more fun to say. The last “S” becomes more of a “Z” sound and it blends together. Awww! I love this one! Be sure to remember this one. I know there are so many of my favorites in one video. And you can use whatever the thing is in the sentence. It’s really just the same idea. About soccer, I’m not very good. I was thinking about going to the park today, but it’s kind of looking cloudy. I’m getting, kind of, big, so maybe I should go out and run. uh, your opinion about something. I really love this expression. Synonymous! It’s got such a, such a cool sound to it. Synonym, or same, it just means the same thing. Or, even a TV show. Maybe I will be talking with my friends about some TV show we used to watch when we were kids. And I can say, “Hey, whatever happened to that actor from that TV show? uh, so and so in that movie? just, every day, try to pick one. And you can listen for the particular phrases that other people use. kind of, the same speaking pattern, and I’ll use a lot of the same kinds of phrases when I’m explaining things. a phrase that he uses very frequently. and then every day try to use just one or two, or three, however many is comfortable for you. But, just try to use them in your conversations. You can begin a conversation like that. You can say, “In terms of this, what do you think about that? and you can continue having more intelligent conversations at work. So, think about all these things. capacity like, uh, you’re a doctor or a lawyer. feel free to mail me at English, uh, at info@englishanyone.com. I’m thinking about all these complicated words and phrases now, so I forget my own email address. I look forward to hearing from you, and I will see you very soon, next time.